The 2018 New York International Auto Show was particularly fun this year for Volkswagen fans who got to see two new Volkswagen concept vehicles that have expanded the Atlas family including a five-passenger VW Atlas variant called the Atlas Cross Sport SUV. Aside from the reduction in overall size from the seven-passenger Atlas, car shoppers are likely to notice the double grille crossbar pattern that illuminates in conjunction with LED daytime running lights and LED headlights. The front lighting package along with a roof spoiler and black side fins help to elevate the exterior appearance and gives the SUV a sporty and modern edge. The current Atlas Cross Sport concept vehicle utilizes a plug-in hybrid powertrain that boasts an estimated 26 miles of electric range on top of the range received from the traditional hybrid engine. Volkswagen has noted that the Atlas Cross Sport may also be produced with a variety of powertrain configurations including a traditional hybrid powertrain which may appeal to a larger audience of SUV shoppers. As it stands, the Atlas Cross Sport PHEV is rated at 355 horsepower. Though, changes to the hybrid powertrain for the production model could significantly change that figure. The current concept vehicle is also equipped with five customizable drive modes including the all-electric E-Mode, Hybrid Mode, GTE Mode, Off-Road Mode, and Battery Hold/Battery Charge that make it easy to configure powertrain settings to current conditions. 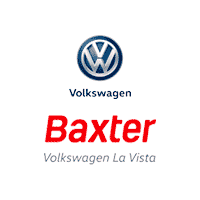 Keep an eye on the Baxter Volkswagen La Vista blog as we will continue to update it with information on the Atlas Cross Sport concept as it begins its transition into a full production vehicle. In the meantime, the 2018 Volkswagen Atlas seven-passenger SUV is available now at our La Vista, Nebraska dealership.